Tungnath at 3,680 meters above sea level, this is the highest temple to Lord Shiva. The temple, set among stony rock, is believed to be one thousand years old. It is a well-established trekking destination. The starting point of treks to Tungnath is Chopta. 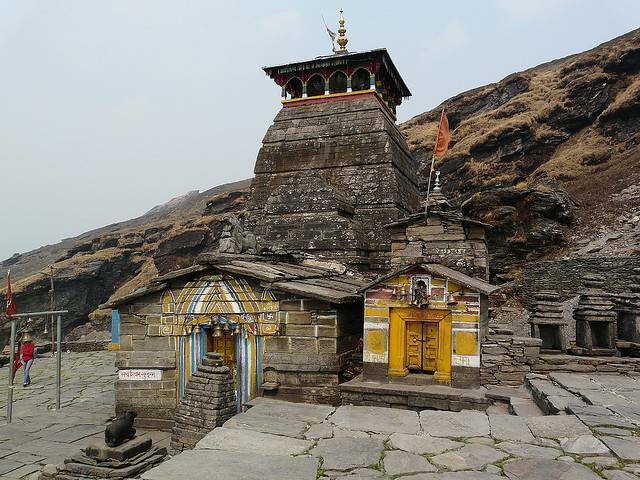 Tungnath is one of the five important hindu shrines collectively known as the Panch Kedar (the other ones beign Kedarnath, Rudranath, Madhyamaheshwar and Kalpeshwar).